John Burrell drops two shells into his over/under as deftly as he would plunk Alka Seltzer into a glass of water. Plop, plop. He eases closed the gun and slips into the grass, stopping shy of the staunch setter. 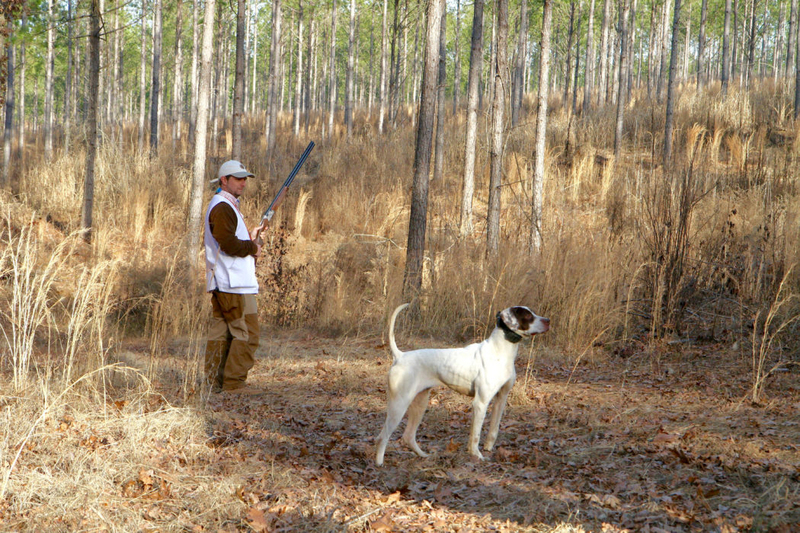 At the handler’s command, the pin is pulled from the waiting cocker, which launches like a grenade into the cover, blowing the covey of quail skyward. Burrell’s gun is up in a flash, tracking, and when it touches his shoulder, there is one shot . . . and then another. Two birds trail feathers as they fall to earth. Burrell is reloaded and ready in seconds. A straggler has made the mistake of holding, and the dog noses it up. Just as quickly Burrell wipes it from the sky. Watching John Burrell shoot quail, you get the feeling that he has been doing it his whole life. There is a calm, surgical precision in his movements. He exudes the casual familiarity of someone with experience, yet there is an underlying intensity and excitement. Such passion is borne from a life lived in wild and adventurous places. Whether he is staring down Cape buffalo in Africa, busting ducks from a pit blind in Kansas, or floating dry flies over bruiser brown trout in Patagonia, Burrell is calm, cool and totally collected. What else would you expect from the guy who owns “The Been There, Done That Company”? If you are unfamiliar with John Burrell, odds are you know his business. 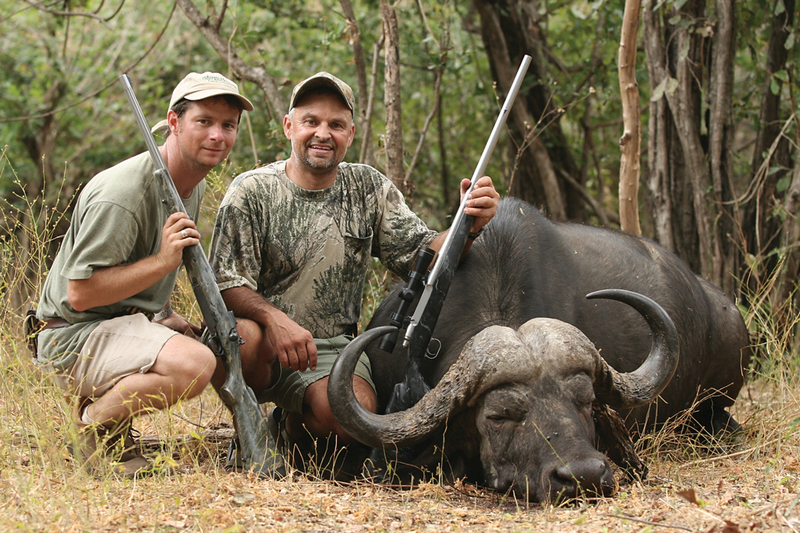 High Adventure Company owns, manages or books trips for some of the top hunting and fishing destinations in the world. It also serves as the Official Travel Concierge for the Beretta Trident Program. From upland and waterfowl hunting in the States to dove shooting and fly-fishing in Argentina to big-game hunting in New Zealand and Africa, HAC caters to those who appreciate first-rate sport in memorable surroundings. Burrell, center, enjoys carrying a gun and manning a rod as much as the next person, but he also takes great pride in making sure clients have experiences they’ll never forget. The success of the company can be traced to the people who work there—sporting enthusiasts all who treat their clients as they would want to be treated. They have come to realize that the key to long-term relationships is building trust and delivering on promises. And no one knows this more than HAC’s president and CEO, John Burrell. JB, as he is known to close friends and colleagues, is quite a success story. Born and raised in Lake City, Tennessee, JB was introduced to hunting by his grandfather and spent his early years chasing squirrels. When he was 14, his father got him his first bird dog, a pointer, which changed his world. 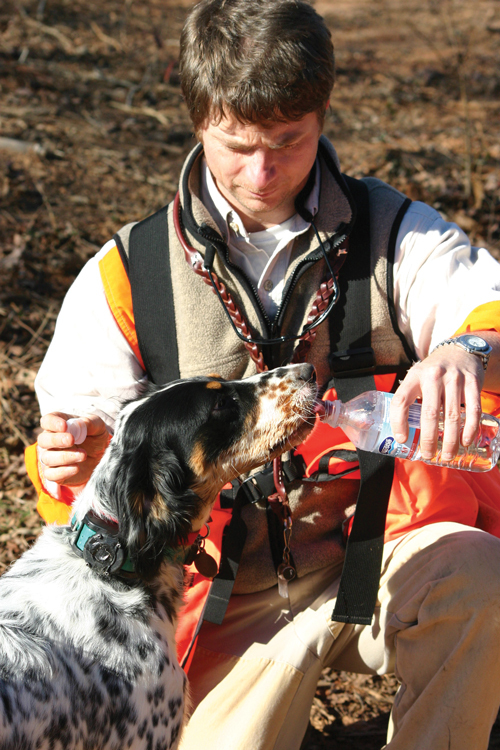 The pair would spend days searching for ruffed grouse, and on a good one they might find two. But that was enough to fuel the fire. Following high school, JB attended Tennessee Technological University. While there he developed a passion for Labrador retrievers and began trialing. He also recognized that he was not the best student and that he needed to find a major that he loved. Wildlife biology seemed a perfect fit. After graduating, in 1994, JB began an internship with Burnt Pine Plantation, in Georgia. By luck, that year Burnt Pine’s owners had formed a business called High Adventure Company and were building lodges in Argentina and Zimbabwe. This allowed JB to do some traveling and gain international experience. From Africa buffalo to Georgia quail, John Burrell (left) has pursued game and fish throughout the world. Eventually JB was made Burnt Pine’s lodge manager, and his reputation spread. In 1998 he was recruited by camouflage giant Mossy Oak to help start that company’s global outfitting agency. At the same time he became the youngest partner in the firm’s recreational real-estate business. Two years later High Adventure Company bought a photo-safari business called SA Adventures and consolidated its offices in Atlanta. JB returned to manage the companies, and in 2006 he bought out both. Today JB is one of the most respected individuals in the outdoor industry. He is a veteran of more than 30 African safaris and just as many trips to South America. He is the co-host of the television series “Brush Country Monsters,” and he was chosen as the lead guide in helping Eddie Bauer design and test its Sport Shop line of clothing. But it is the “boots on the ground” work for which JB is most proud—guiding new and established lodges to achieve their potential. From habitat & game management, to staff recruiting, to food-service development and marketing, the High Adventure team has molded the experiences at some of the world’s top destinations. Wingshooters will recognize names like Cheyenne Ridge Signature Lodge, in South Dakota; Hooray Ranch, in Kansas; and Tipiliuke, in Patagonia. All of these and more bear HAC’s fingerprints. And for JB, changing the game is what it’s all about. He takes great pride in offering unique experiences and developing trust based on performance. After all, whether a trip is a client’s one of many or once-in-a-lifetime, everyone deserves to live a life of high adventure. For more information, contact High Adventure Company, 800-847-0834. 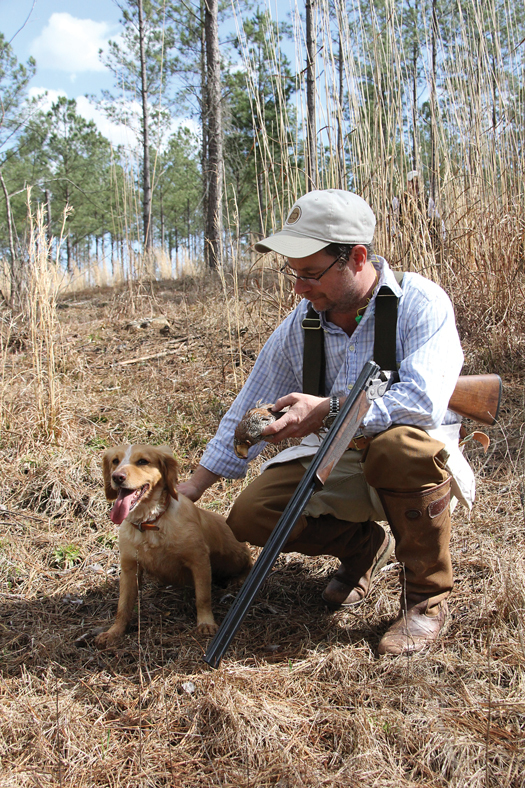 We recently caught up with HAC’s John Burrell on a Georgia quail hunt and asked him a few questions over sundowners. So, JB, you’ve had a chance to hunt and shoot all over the world. What’s your favorite type of wingshooting? That’s a tough one. I guess I’d have to say quail hunting, as I love watching good dogs work. Waterfowling would be a close second, because of my passion for retrievers. Training a Lab to run a 400-yard blind and not break when ducks are landing in your face—that’s another level of training. [Cape] Buffalo, because it is a pure form of tracking. I also love hunting red stags during the roar. Are there any destinations or species you feel are missing from High Adventure’s portfolio? Wingshooting in Cuba intrigues me. I’d also like to do more bird hunting in Africa. 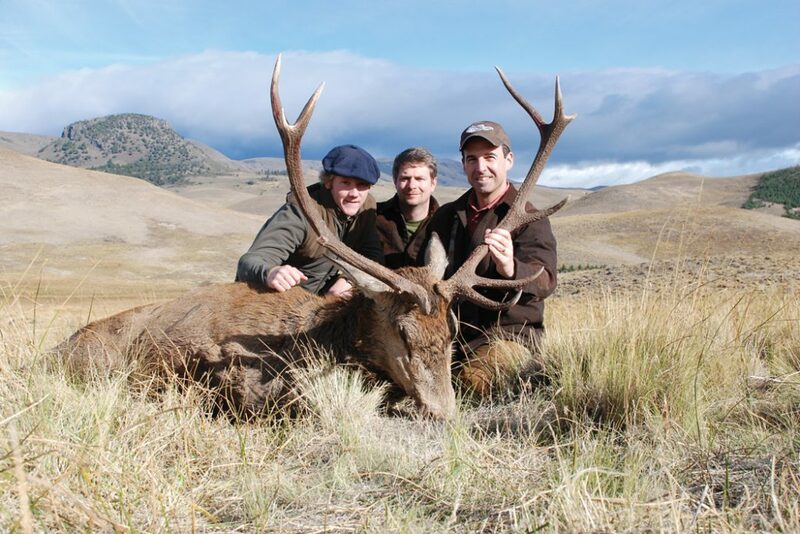 As for big game, I would expand in South America for stags. 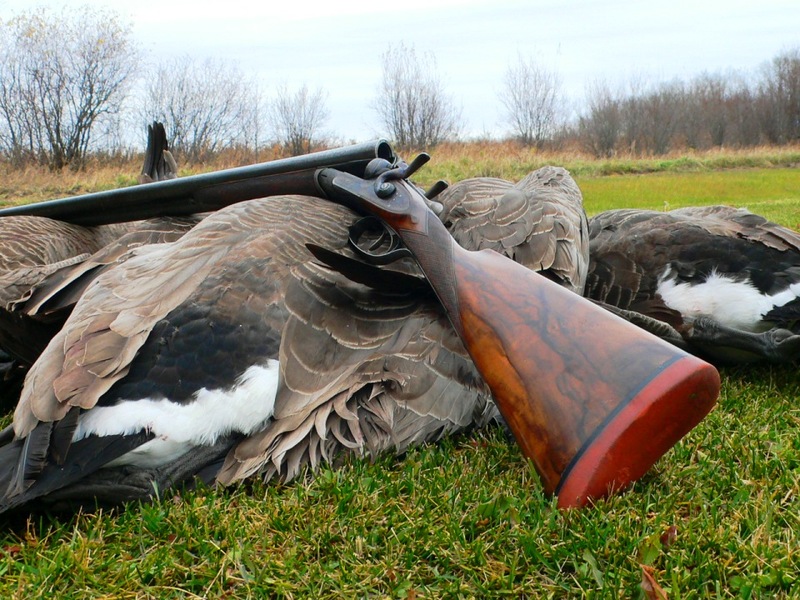 What is your go-to bird gun? A Beretta Silver Pigeon 28-gauge. A .416 Remington McWhorter. If my house was on fire, I would run in to save that rifle. Boating. I also have become a passionate fly fisherman since finding Tipiliuke [in Patagonia] and its giant browns and rainbows. And with us now owning Port Eads [in Louisiana], I’ve ratcheted up my blue-water fishing for marlin and tuna and fly-fishing for big bull redfish. Are there any hunts still on your bucket list? Bezoar Ibex in Turkey, which I’m scheduled to do in November. And I would love to shoot red grouse in Scotland. Actually, we’ve just been given the opportunity of a lifetime: to manage the entire hunting operation on the island of Lanai [Hawaii] through a partnership with Pineapple Brothers. 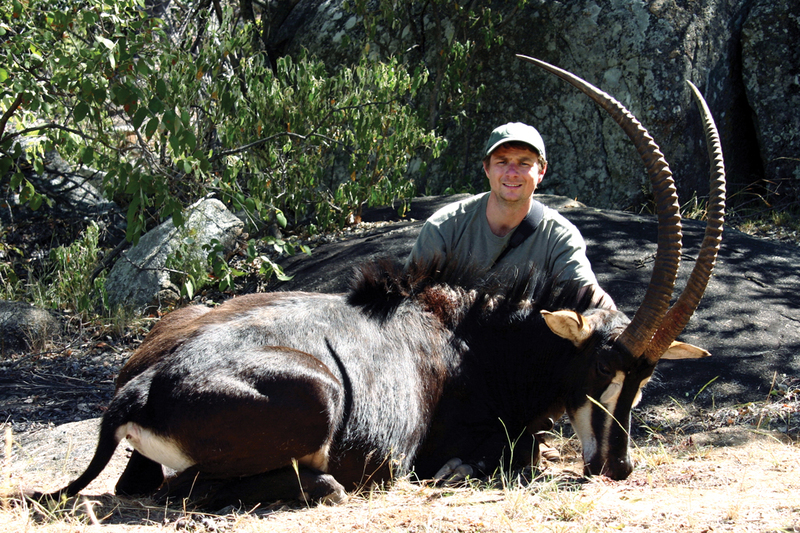 It offers mouflon sheep and one of the highest densities of free-range Axis deer in the world. It is going to be amazing! Other than that we simply want to continue building one quality operation at a time. That’s how we want to grow.